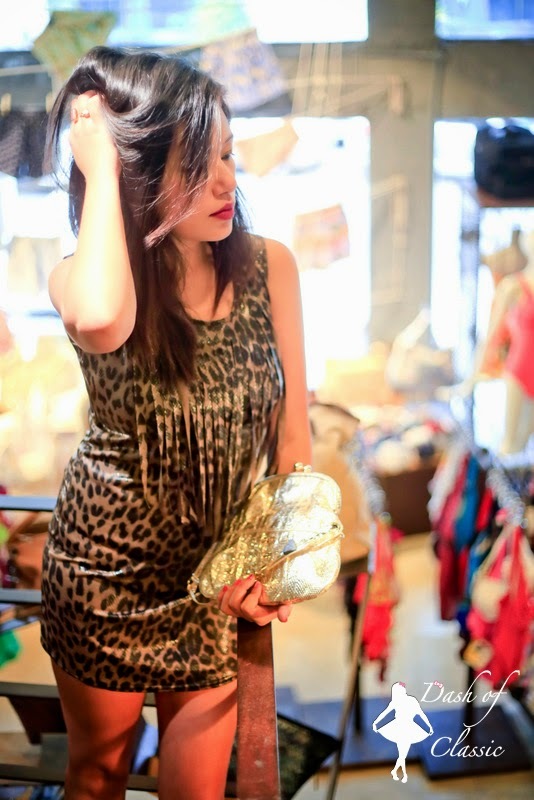 I am a absolute admirer for animal print, be it on shoes, bags or dress, it does capture attention from people around you. I love Jean Paul Gaultier , his crazy vivacious design have always inspire me to kill my inner soul who is very timid in life. So imagine I saw this dress while shuffling through the stand and I was like whoaaaaaa let me style this. As you all know by now I have styled this look collaborating with Crisp - the luxury brand store, Bangalore. The whole look I kept it simple and very minimalist, with animal print dress one basic rule is never do much. The dress itself is loud and body hugging (shows the curve) so never adorn with statement accessories. I finish up the whole look with the golden bag and the black studded shoes. Step out with this look for cocktail party, events party, bachelorette party or simply hangouts with your friends. Hope you gus like today's style, remember always keep that little "dash of classic" in what you wear.